OTT provider Airbeem wants to help smaller players launch their own online channels using the same technologies afforded to larger broadcasters, and to make these offerings profitable. Tech entrepreneur Steve Hardman founded the firm three years ago and it has recently hired Chief Revenue Officer Neil Berry, former VP of Comcast Technology Solutions, to drive its growth. Airbeem’s software as a service (SaaS) solution is built on the platform of telco provider Comcast. This claims to be video platform agnostic, however, and there are plans to expand integration to other providers in the wake of its latest round of funding, which saw Edge Investments take a minority stake in the company. While YouTube and Amazon channels offer niche players similar opportunities to go OTT, Berry says that Airbeem’s USP is in its ability to offer an e-commerce and analytics engine within the same platform. “We offer a differentiated sales approach – understanding what the client’s business model is and making sure we can provide the insights,” he says. The firm, whose board members include former Red Bee Media president Thorsten Sauer, also offers clients an AI-driven analytics engine within the same platform, which comes with the ability to customise the UI/UX experience. “The real-time engine allows clients to build apps rapidly and to personalise the experience – based on who is buying what content,” Berry explains. According to Berry, clients can be up and running within 60 days of deploying this out-of-the-box solution, which costs “thousands rather that hundreds of thousands” – plus a monthly fee to pay for software licensing. 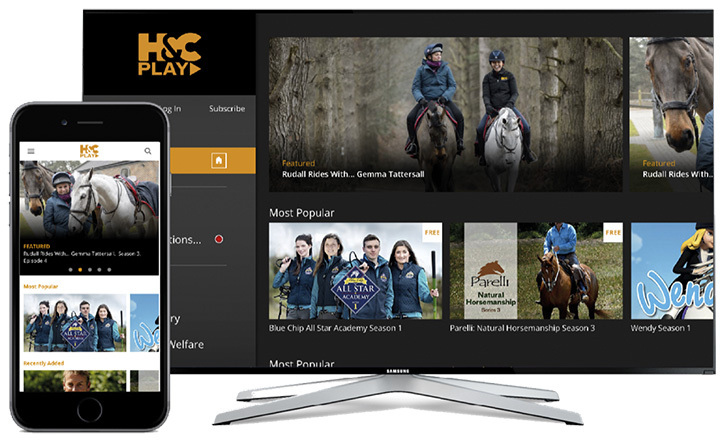 The firm’s beachhead clients include Horse & Country, a niche broadcaster which originally launched on Sky’s EPG. By going OTT via Airbeem the subscription service (which is also experimenting with other monetisation models) has expanded into six territories and is available on 38 different devices. Another client is Channel Fight, dubbed ‘Netflix for martial arts’. The channel’s 2000 martial arts films are now available via rent or buy transactions in six territories. Channel Fight is also taking advantage of the gifting and voucher tools that Airbeem offers to drive user acquisition. According to Berry, sports IP owners and brands account for 50% of Airbeem’s target customer base. To fuel growth in this area, former Comcast Customer Director Louis Starnowski joined the company this summer.